One of my golden rules of freelancing is “Be the best boss/employer you’ve ever had.” Those of us who worked in the salaried world before going freelance are familiar with both sides of this coin: an employer can enhance your quality of life, and an employer can make your life a waking nightmare. As a solopreneur, you get to pick which of those employers you want to emulate. Redesign your office. Get the clutter out; paint it a color you love; get a new desk or workspace; buy some plants. This doesn’t have to be super expensive. Hit Craigslist or a thrift store! Depending on your budget, pay someone to do some or all of this for you. Or give yourself a day off from translating and do it yourself. Outsource your most-hated office task. Two years ago, I decided that I had categorically, undeniably had it with doing my payroll taxes myself. So my end of year bonus was to hire my accountant’s bookkeeper to do them for me. It’s not the sexiest gift ever, but in terms of quality of life improvements, it was a huge winner! Rent yourself an office. This was on my “I’ve had it with…” list a year ago. I seem to have “had it” with a lot of things lately, although I assure you I’m actually a very happy person! But I had officially had it with being home alone all day, with very little separation between work and home. Enter a desk at a co-working office, which has very tangibly changed my life for the better. Completely worth every cent of the $4,000 it cost me for the year. Side note: no, this lute is not broken! Until we saw this concert, I never knew that lutes have a 90-degree bend in the neck. Between the bend and the shape of the body (kind of like a watermelon cut in half), the case is not much smaller than a harp, but it’s certainly a beautiful instrument! I would never have persevered with my lute ambitions were it not for a friend who I met in our local translators association. She’s a Dutch translator and avid early musician (recorder) who knew exactly where to point me in my search for a lute and a teacher. She also encouraged me that it was totally possible to learn a new instrument over 40. Yet another benefit of being active in your local association! Also, I find that after translating for a whole day, I love the work but I’m just so tired of words. I might listen to a podcast instead of reading, but sometimes it’s just too many words. Music is a totally different neurological activity, and even when I’m really tired of translating…or maybe especially when I’m really tired of translating, music really does the trick! If you feel the same, think about a completely word-free bonus for yourself, whether it’s something sporty, musical or artistic. Other ideas for good end of year bonuses??? I’ve also resumed my attempts at (very amatuer) music, also at the urging of a translator friend. I took up the guitar years ago, but then lost interest. After meeting a guitarist at the ATA conference last month and chatting about music, I realized that I missed it. Perhaps a more important “gift” to myself was when I allowed myself to unplug every morning for a run. When I was an in-house translator, I ran before work every morning. When I started freelancing, I would fret every time I missed an email from a current or potential client at 6:00 am (already noon in Europe). After many months of trying to be available during European AND American business hours, I finally gave myself permission to take two hours every morning and enjoy my leisurely jog. It’s amazing how much healthier and happier I feel when I leave the phone at home. Give yourself the gift of time! An additional benefit of the year-end bonus if you are using it for the business (office improvement, new computer, etc.) is that is it a business expense and will lower your tax liability at the end of the year. Like having the gov’mint chip in with a discount! I bought a new computer this year – and a bunch of upgraded software to go with it. I am going to give myself some free nights in a really nice hotel with all those Marriott Rewards points I racked up this year. Totally personal option. Great ideas, Corinne! 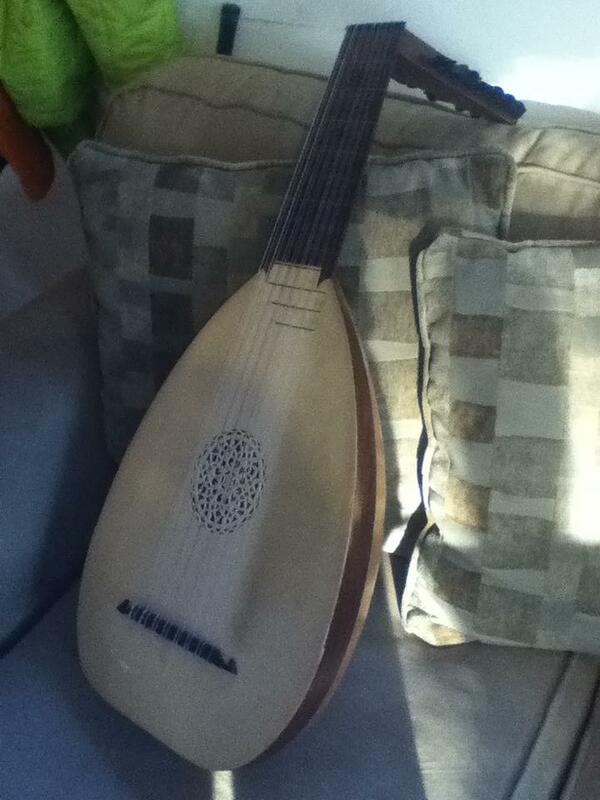 I can’t wait to hear you give your first Lute concert for CTA. 🙂 As for me, my bonus will be a trip to Germany this year. It’s been years since I’ve spent Christmas and/or New Year’s in the fatherland, and I’m rather excited about all the fireworks displays on the 31st. Here’s my recommendations for Year End bonuses. 1. A change of scenery! These days I find myself hunkered down on the top floor of a 21-story high-rise surrounded by computers and wall-to-wall bookshelves and stacks of papers and….deadlines. Lots and lots of deadlines — translating, writing, consulting, contributing, blogging, revising, editing, researching, training. Also, exhausting. Sure, there are the Blue Ridge Mountains in the remote distance and those awesome sunsets, plus you can see what the weather’s going to be in the next half-hour just by looking out your window. But it’s all high-techie and stressful and a little weary on the soul. So, escape! My girlfriend and I are going to decamp to the Hay Adams hotel across from the White House http://www.hayadams.com/ for New Years as our bonus. It’s 18th century Jeffersonian elegance, except way less grungy and diseas-ey and a lot fewer pistol duels in the streets (assuming Chris Brown stays away from DC this New Year’s). 2. Your bonus this year can be your prosperity in the next. There’s a lifetime of wisdom in Chris Durban’s “The Prosperous Translator.” I could write a Russian novel about its virtues, but my Amazon review is shorter http://www.amazon.com/review/RNILQLUK6E2JO plus you can order the book from that same page! 3. Make a difference. I have a young teenager daughter who is impossible to impress and has raised cynicism to a high art. She’s a fantastic scowler. I took her downtown to a restaurant one night recently and while walking back to the car we stopped across the street from Ford’s Theater. The street was deserted. She was standing there impatiently as usual, glaring at me, complaining loudly about why we were not moving. I told her that the building where we were standing right then was where they carried Lincoln’s body after he was shot. And it was also the building where he died. She looked down at the ground and was silent for a long time. And she didn’t say a single word until we got all the way home. So that was my best Year End bonus. Thank you for your posts and tips! Such a great reminder! This year, I gave myself a day off (two half days) to take a couple watercolor classes in the mountains nearby. Change of scenery, revived former passion, socializing for non-business purposes… all in one activity! I liked it so much, I think it’ll be a regular part of my schedule in 2014.